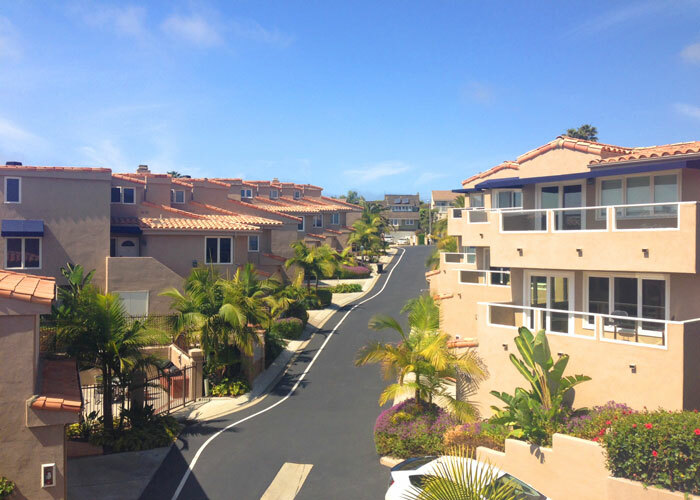 Point Vista condo community is a small gated complex that consists of 20 luxury condos in the Dana Hills area of Dana Point. The condos area located on each side of a one way street with homes located on the west side offering direct views of the ocean. Select condos on the east side will also offer views of the ocean as well and avoid views of the power lines and roise noise the busy Selva Road. The associaton includes and pays for water, community pool and spa with HOA dues of $365 a month. All the current available Point Vista condos for sale and for lease are listed below. Please contact us with questions regarding any of these properties.